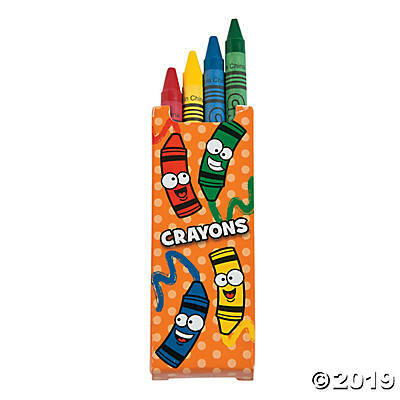 • Full size crayons in a mini four pack. • Colors include: red, blue, yellow, and green. • 144 packs per case, 16¢ each.